The majority of the Sun’s total energy arrives on Earth in the form of infrared. In 1800, astronomer William Herschel discovered a type of invisible radiation in the light spectrum beyond red light — a ray that would come to be known as Infrared. Thermal radiations emitted by objects near room temperature are most often infrared. Far Infrared Therapy is a low energy therapy where waves of light penetrate the human body, transforming into heat energy to gently elevate temperature and even activate major bodily functions. More significantly, if applied in the correct wavelength, FIR therapy can energize our water molecules, a feat that can promote growth and cell regeneration at a rapid pace. As approximately half of the energy generated by the human body is naturally infrared, Far Infrared Therapy is considered completely safe. tool that can enhance, rather than oppose, the body’s own innate healing powers. What ARE the benefits of using a Far Infrared Sauna? It increases blood circulation and oxygen supply to damaged tissues, reducing chronic joint and muscle pain. As a result, it can treat sprains, strains, spasms, bursitis, peripheral vascular diseases, and arthritis. A clinical trial in Japan reported complete success in all cases of rheumatoid arthritis treated with whole-body Far Infrared therapy. Carpal Tunnel Syndrome (CTS), one of the fastest growing complaints in the country today, is caused by motion and trauma to the median nerve passing through the wrist. Surgery, still the most standard medical treatment for CTS, has a dismal success rate of less than 10%. However, close to 600 patients have been treated with FIR by Dr. Wayne Good, the plant physician at General Motors Flint Assembly, and over 70% have seen positive results. Thanks to persistent peripheral vessels dilation, a single hour of far infrared radiance can show a significant decrease in blood pressure—and a significant increase in heart rate. Blood viscosity is also greatly improved. When deposits of fat, fibrin, calcium and cellular debris roughen the lining of arteries, which are typically smooth and firm, the arteries ability to expand and contract is lessened, slowing the blood movement through narrowed channels, thus increasing the risk of blood clots, which will block the arteries and stop blood flow completely. With far infrared heat, the blood toxicity can be neutralized and the walls of arteries, capillaries and veins smoothed. Hypertension, osteoporosis, headaches and digestive issues are all common problems associated with lifestyle and aging and are attributed to be the outcome of excess acidity in our system. With the use of Far Infrared products, along with consuming certain alkaline minerals and foods, these excess acids can be eliminated. By heating up the internal temperature of the body and increasing circulation, Far Infrared resonance can enable the blood to clear out the acidic toxins that have been deposited in one’s arteries for years. Illness is triggered by bio-toxins that cannot be expelled immediately being stored in the body. When toxic gases—or possibly deadly heavy metal toxins—run into large water molecules, they are enveloped and trapped. Where these molecules build up, circulation is blocked and cellular energy is repaired. With approximately 70% of the human body composed of water, the risk is high. Far Infrared is believed to be 7 times more effective at detoxifying heavy metals, and even environmental toxins, as opposed to conventional heat or steam saunas. By applying a 7 to 11 micron FIR wave, large water molecules begin to vibrate, reducing the ion bonds holding it together, causing it to evaporate and release the dangerous gas and toxins. Toxic overload has been implicated in many health conditions, such as fibrocystic breast disease, attention deficit hyperactivity disorder, fibromyalgia, chronic fatigue syndrome, and much more. Leading researchers have stated their patients are carrying high toxic loads—and once these loads were reduced, their symptoms often improved dramatically. Raynaud’s phenomenon is significantly reduced blood flow as a result of cold or emotional stress, creating discoloration in the hands, toes, or occasionally other body parts. 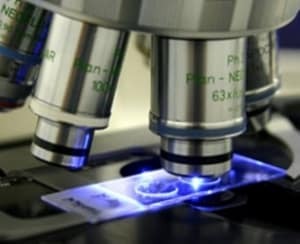 There’s primary Reynaud’s phenomenon, known as Reynaud’s disease, where the cause is unknown—and then there’s secondary Reynaud’s phenomenon, known as Reynaud’s syndrome, where the cause is a known primary disease, usually a connective tissue disorder such as systemic lupus erythematosus. A clinical study performed by Dr. Gordon Ko and Dr. David Berbrayer at Sunnybrook and Women’s College Health Science Centers at the University of Toronto showed exponential improvement in both pain and discomfort in sufferers of Reynaud’s syndrome. Many amazing discoveries have been made as a result of extensive research of Far Infrared medical treatments. 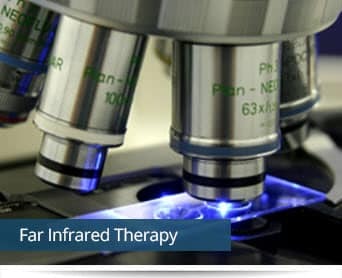 Capable of providing an endless variety of solutions to a vast assortment of health issues, findings over the last 25 years support Far Infrared therapy as a method of serious healing capability—and it’s entirely safe for the patient, using the energy that the body already creates on a daily basis and honing it into the fine medical tool that it can be.